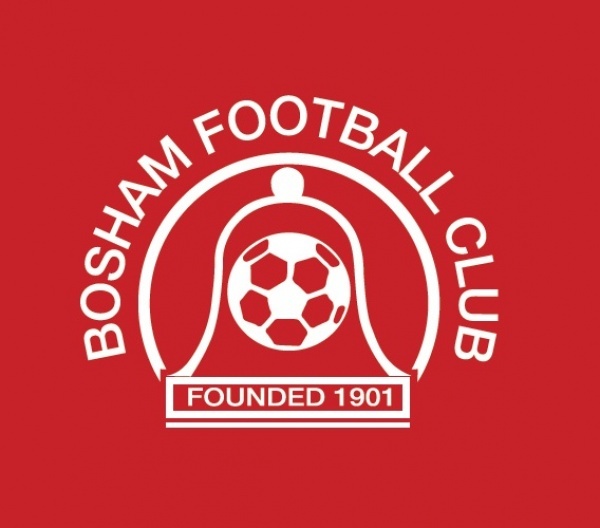 Formed in 1901, Bosham were founder members of Division Three of the County League in 1983/84 following a long and established period within local football. Their inaugural season at the higher standard ended with a commendable fourth placed finish. The following year of 1984/85, the club finished runners-up to Oakwood, winning promotion to Division Two. To cap a very successful season, Bosham also won the Division Three League Cup – a feat they were to repeat in 2009/10. Having won promotion in 1985/86, Bosham had mixed fortunes in senior football with their best effort a sixth place finish in 1990/91, although the following season they were relegated back to Division Three after seven years at the higher level. However, in 1993/94, they were promoted back again as champions – albeit a short-live success, as the following two seasons saw successive relegations back to the West Sussex Football League. Following an overhaul of both players and management, Bosham enjoyed a resurgence on the pitch resulting in one of their most successful seasons ever in 1998/99, winning the coveted ‘treble’ of the West Sussex Premier Division; Malcolm Simmonds Cup and the Centenary Cup – a feat no other club has achieved. 1999/00 saw Bosham champions once again, making a welcome return to senior football and scoring 109 goals along the way – an average of 3.6 per game - although following a mid-table finish in 2000/01, The Robins found themselves bottom of the pile the following year and ‘yo-yoed’ back down to Division 3. The club once again struggled in Division Three, but a late revival saw them finish one place off the bottom, five points clear of Uckfield Town. Although a relegation position, the resignation of Oving – coupled with only Wadhurst United meeting the requirements for promotion - spared them the drop. Until 2006/07 – a year when Bosham were once again reprieved after a picking up the Division Three wooden spoon – there had been signs of improvement, with the club appearing reasonably comfortable in Division Three after many up and down seasons; and in 2004/05, reached the Final of the Sussex Intermediate Cup, where they were defeated by Rustington. Cup success again afforded the Walton Lane side in 2008/09 when they were beaten by a solitary goal to nil against fellow Division Three side, Forest, in the final of the same trophy. However Bosham did find the winning formula the following season, drafting in a largely youthful squad alongside one or two more experienced heads, to lead the club to the Division 3 title for the third time; the Division Three Challenge Cup, and the Team of the Year award. Unfortunately, league ground grading regulations were to this time go against Bosham and they were denied a place back in senior football. Despite this knock, the club managed to keep the majority of the side that earned their top spot the previous season, and gallantly went on to finish in fourth place in 2010/11. In September 2011, Bosham won a sponsorship deal with home improvement retailer, Wickes, via national newspaper, The Sun. The prize was a welcome boost for the village club, who had previously struggled for funding and local volunteers. Bosham fought off 300 other non-league clubs to win the competition. The windfall funded a make over for the changing rooms, new kit, training equipment and coaching. After encouragingly winning six of their opening nine league games of the 2011/12 campaign, a changeable Bosham side saw their season ebb out, as they finished below mid-table. However, the club were demoted to the West Sussex Premier Division for the start of the 2012/13 season, owing to ground grading regulations. Under the guidance of Tony Hancock, the Robins finished in third place in their return season in West Sussex Premier Division, with the title eventually going to Cowfold after being keenly fought out until the last weekend. Despite a positive start to the 2013/14 campaign, Hancock ended his ten year reign in charge of The Robins, with long-serving player Andy Probee taking over the role in November 2013. Bosham were soon back on track, with Probee's side winning an impressive 13 of their remaining 16 games to take the West Sussex Premier Division title for a second time - and with it, gain promotion back to Division 3 of the Sussex County League. Sadly, Probee lost his grandad - and Bosham Vice President - Dennis, a week before the end of the season, so it was perhaps fitting that the club should win the League shortly after. The inaugural Dennis Probee Memorial Cup was set-up in his honour, with Bosham facing a 'Sussex XI' side, winning 4-3 on penalties after the sides were tied 2-2 in normal time. 2013/14 was also a great season for the club off the field, with Bosham successfully applying for Sport England funding, enabling the club to modernise their facilities and increase participation with new youth sides planned for 2014/15. The season also saw Bosham gain their FA Charter Standard status. Bosham made their return to the Sussex County League in 2014/15, finishing their first season back in a creditable fourth spot in Division 3, having featured at the top of the division for much the season, following a blistering start that saw the club win its first six games. Silverware was to follow, as the Robins lifted the Division 3 Cup for a third time, with a 3-0 victory over local rivals, Sidlesham. Football Foundation funding supported the reintroduction of the club’s youth section at under 16 level, with a further youth team at under 15 level added in 2015/16. The club were also winners at the Sussex Sports Awards. In February 2016, Bosham gained a further grant from West Sussex County Council's 'Big Society Fund' in the sum of £10,400 to improve club facilities and infrastructure, and assist with longer-term sustainability and youth participation objectives. Success on the pitch in 2015/16 again came in the form of the (re-named) SCFL Division 2 Cup - with a 2-1 win over League champions, AFC Varndeanians. The Robins became the first side to retain the trophy since its inception in 1983/84. The season also brought a sixth place finish in the newly-formed Southern Combination League Division 2. The Robins came back stronger in 2016/17, winning the SCFL Division Two title having led the table for all but the opening two weeks of the season. After four successful years in charge, manager, Andy Probee took the decision to step down at the end of 2016/17 owing to increased personal commitments, with assistant Neil Redman being named new Chairman at the club's AGM. Former Petersfield Town boss, Gary Lines was announced the club's new manager ahead of the 2017/18 season, with further success in the SCFL Division Two Cup in Lines' first season in charge - beating Rustington 1-0 at Pagham, courtesy of a late Matt Andrews goal - for a third League Cup triumph in four seasons. Danny Mullen and Tony Hancock took-up joint charge of a new-look Bosham side into 2018/19 after Lines' departure in the summer, with Dan Bishop in charge of a youthful development side. Although Bosham have never competed in the FA Cup, they were entrants to the FA Vase between 1986 and 1990, however have never managed to win in this competition.